Bay of Fires with its unique and eye-popping colours is a slice of coastal wonderland. Famous for its orange lichen-covered granite boulders, miles of snow white sandy beaches and crystal clear turquoise ocean. Awarded one of the most beautiful beaches in the world. Home to what is considered one of the most beautiful beaches in the world, the Bay of Fires is not to be missed during your Tasmanian holiday. There is a reason it was named by ‘Lonely Planet’ as the world’s hottest travel destination. 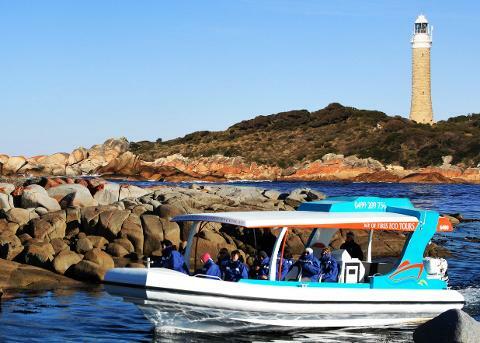 The Bay’s iconic name comes from Captain Tobias Furneaux as he sailed past in 1773, spotting Aboriginal fires lighting up the coast line. Evidence of these first Tasmanian inhabitants in the form of shell and bone piles (middens) are dotted in and among the grass. The name could also apply to the brilliant orange lichen that grows on the granite boulders lining the bay. 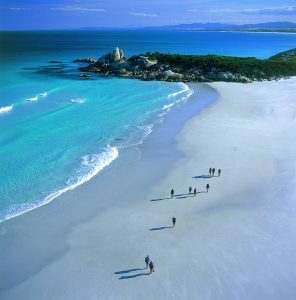 The Bay of Fires is located on the northeastern coast of Tasmania. It includes a gorgeous coastline that stretches over 50 kilometres from Binalong Bay in the south to Eddystone Point in the north. The northern section of the bay is part of Mount William National Park; the southern end is a conservation area. The conservation area is divided into three sections, with Ansons Bay dividing the southern and northern ends. 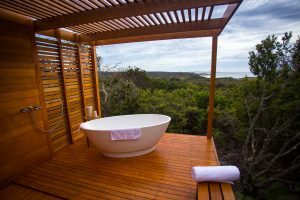 Drawing in visitors for decades, this popular conservation reserve is actually a string of breathtakingly beautiful beaches, interspersed by lagoons and rocky bluffs. 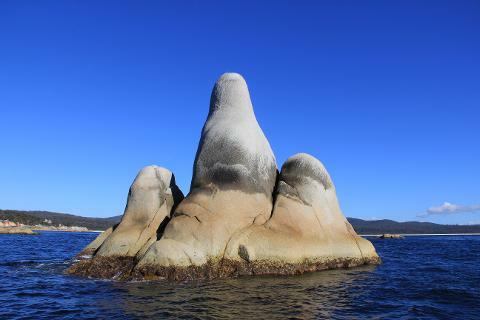 Famous for the orange lichen-covered granite boulders, combined with the powder-white sand and turquoise waters, this ideal setting is a spectacular place to soak in the sensational views and experience a dreamlike walk along the beach. 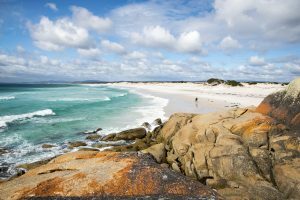 These magnificent secluded beaches and inlets are a sight to behold and give the Bay of Fires its reputation as one of the most pristine natural wonders of the world. Binalong Bay is the area's main beach and a wonderful spot for swimming or surfing. Abundant marine life and clear waters around the offshore reefs also make for terrific diving and snorkeling conditions. Head inland for a bit to explore the serene rural valley of Priory. Travel through the Mt Pearson Reserve and experience a local wine tasting at the cellar door. In the northern end you’ll find Ansons Bay, a quiet holiday hamlet that is renowned for fishing and boating whilst the Ansons Bay Lagoon is a perfect haven for kayaking. If you have a license, you can catch some dinner to enjoy on the beach, as the bay is rich with crays and abalone. 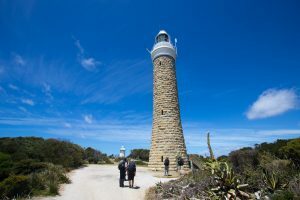 Consider driving along the coast to the Gardens for a scenic glimpse of deserted sands and visiting Eddystone Point, just north of Ansons Bay, where the iconic lighthouse sits. Witness a sunset on one of the secluded inlets. There's a wealth of local wildlife to see on self-guided and guided walks in this untouched wilderness. Popular for bushwalking and bird-watching, the Humbug Point heathlands attract a diverse range of birdlife including Yellow-tailed Black Cockatoos, Wattlebirds, Honeyeaters, and magnificent seabirds such as the White-bellied Sea Eagle. In the springtime, keep your eyes open for the native orchids in bloom. 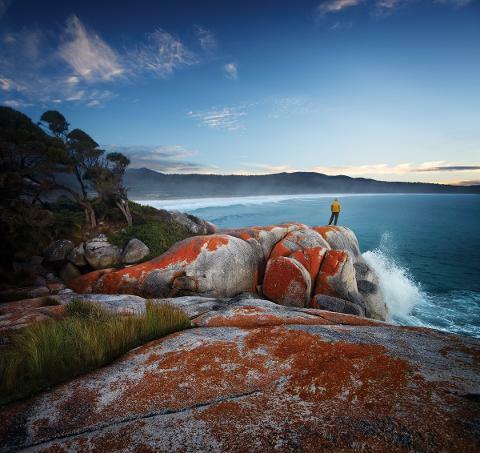 Image thanks to: Tourism Tasmania & Simon Kenny & Great Walks of Australia. 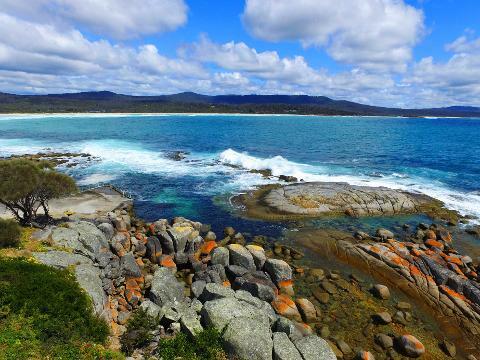 Bay of Fires is approximately 4 hours from Hobart and 3 hours from Launceston. Binalong Bay is less than a ten minute drive from St Helens. You can easily explore the bay from your base in St. Helens or Binalong Bay. Accommodation options are plentiful, including holiday homes, campsites, eco-lodges or even glam camping. St. Helens is located at the southern entrance to the conservation area and offers more options with additional services and facilities. 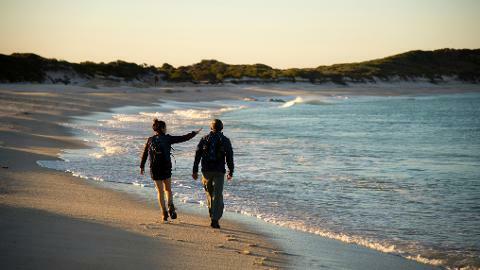 Alternatively, some of the best free camping in all of Tasmania can be found in the Bay of Fires. 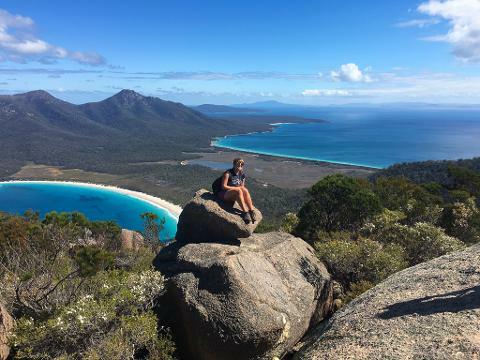 Camping sites are located in the southern and middle sections of the conservation area, or in the adjoining Mt William National Park at the Bay’s northern end. Toilet facilities are available in the southern beach sites. Image thanks to:Tourism Tasmania and Supplied Courtesy of Ratho Farm. Nearby St. Helens and Binalong Bay provide an array of options including cafes, bakeries, seafood, Chinese, Indian, Italian, and of course Australian. The cool-climate wine making has produced some award-winning nectar that should also be savored while you’re in the region.